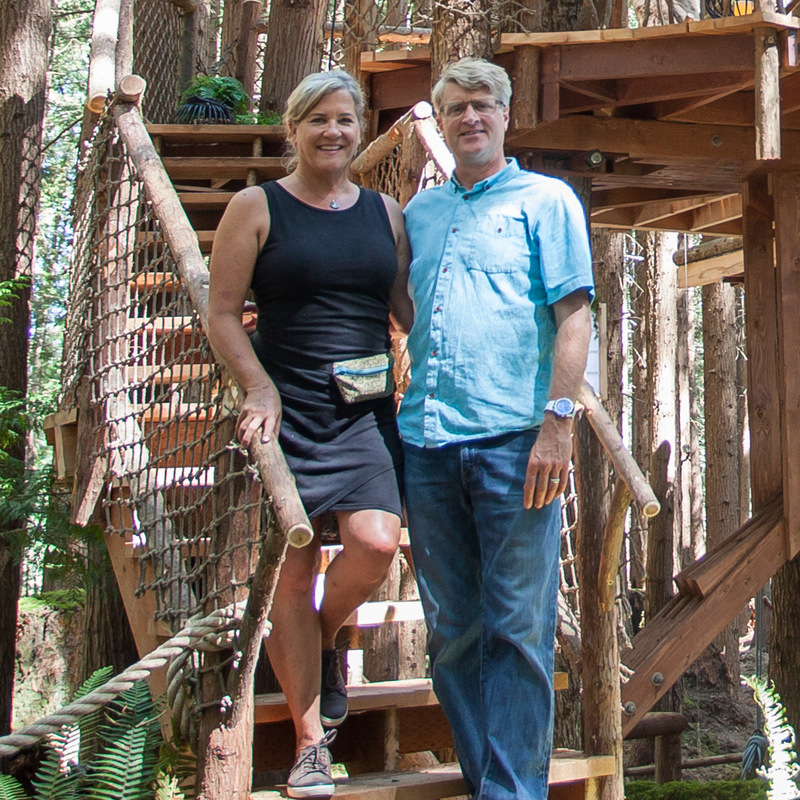 Pete Nelson's photo tours of treehouses from Season 8 of Treehouse Masters on Animal Planet. Surprising the Sluiter family and the Smith family with treehouse makeovers was an incredibly special experience! The crew loved creating a space for kids to read, play, and discover, and wish the students many years of joyful learning! Meet Christina Salway, interior designer extraordinaire and owner of the ethereal Glasshouse Treehouse! Pete and the crew loved building Christina's treehouse, using salvaged windows for the walls. Read on for interior design tips, tricks, and the story the pieces that make this treehouse feel like home. Read on for behind-the-scenes details (including Patrick's reminiscences of the build and a statement from our clients at For-Mar Nature Preserve) and a photo tour of Nature's Super HQ treehouse! Pete had a magical time touring treehouses of Norway and Sweden. Find out Pete's favorite moments from his trip, and see his photo slideshows of epic Scandinavian treehouses! Building a treehouse for Mike, one of our very own crew members, was the cherry on top of a happy year for Nelson Treehouse and Supply. Mike is a talented carpenter and treehouse enthusiast, and had longed dreamed of building a treehouse near his home in North Carolina.